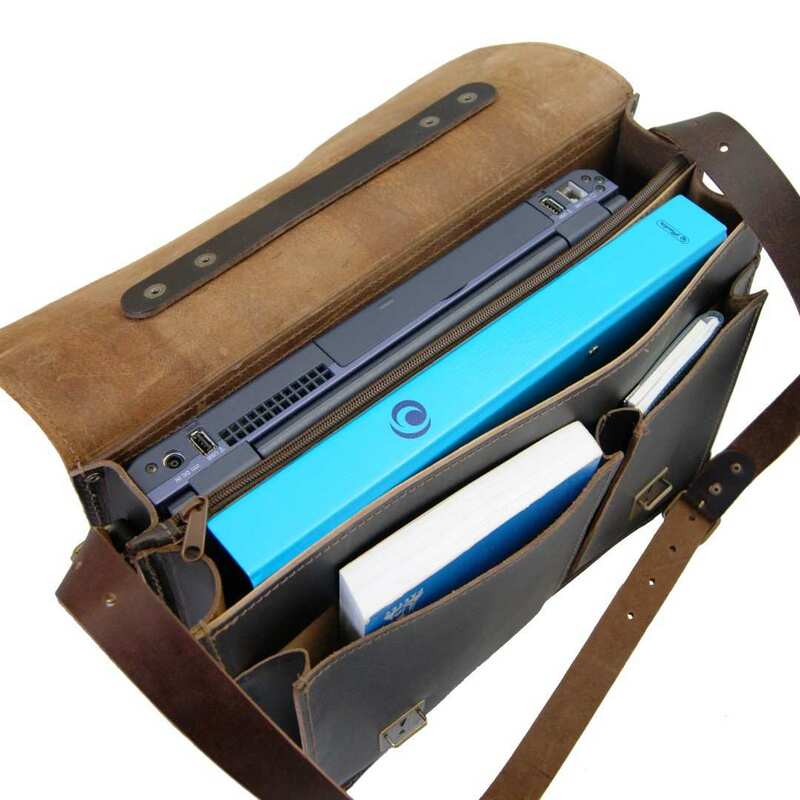 Product information "Briefcase FARADAY brown organic leather"
15.7 in (40cm) Laptop bag FARADAY made of brown organic leather with lots of space - the perfect office in a briefcase! The thick dark leather and the clear shape of this briefcase are the brand labels which immediately catch the eye and tell the spectator: I know what I want and where I'm going to. 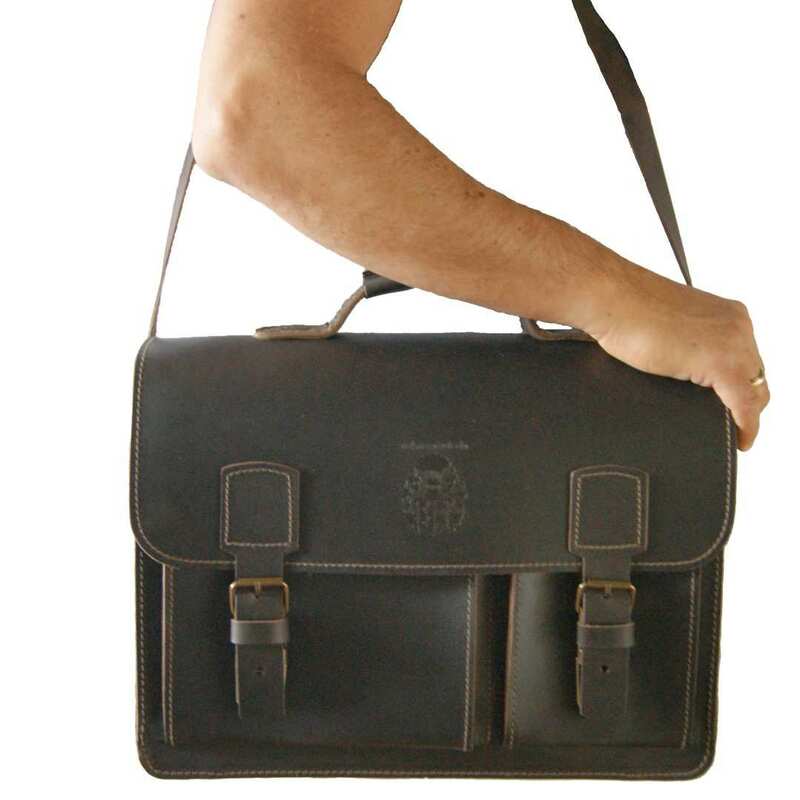 Exactly this is what you declare with the laptop bag FARADAY made of brown organic leather. 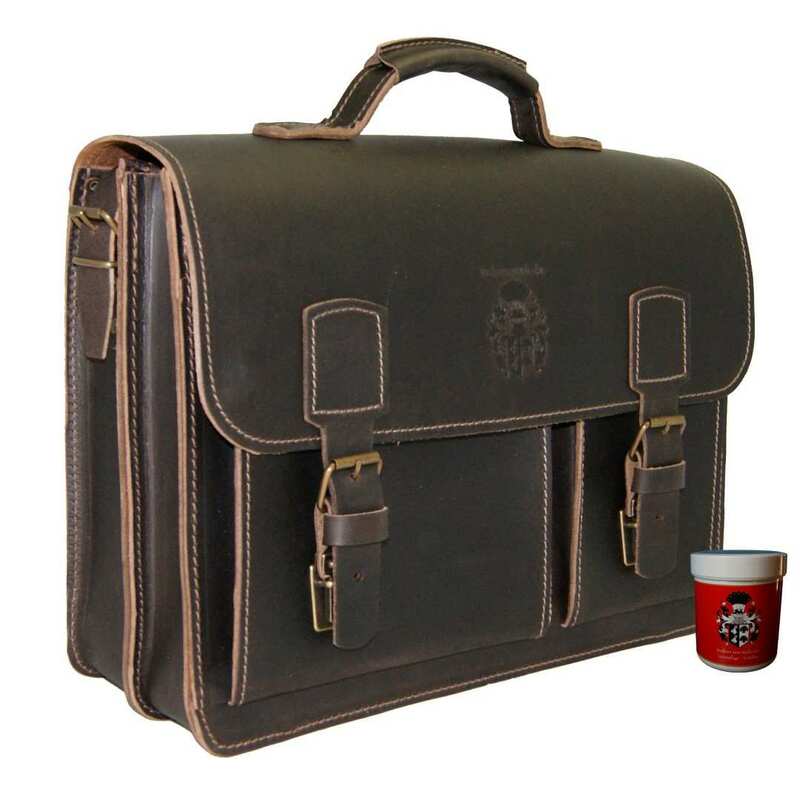 It is not just a briefcase, but also a piece of life quality. 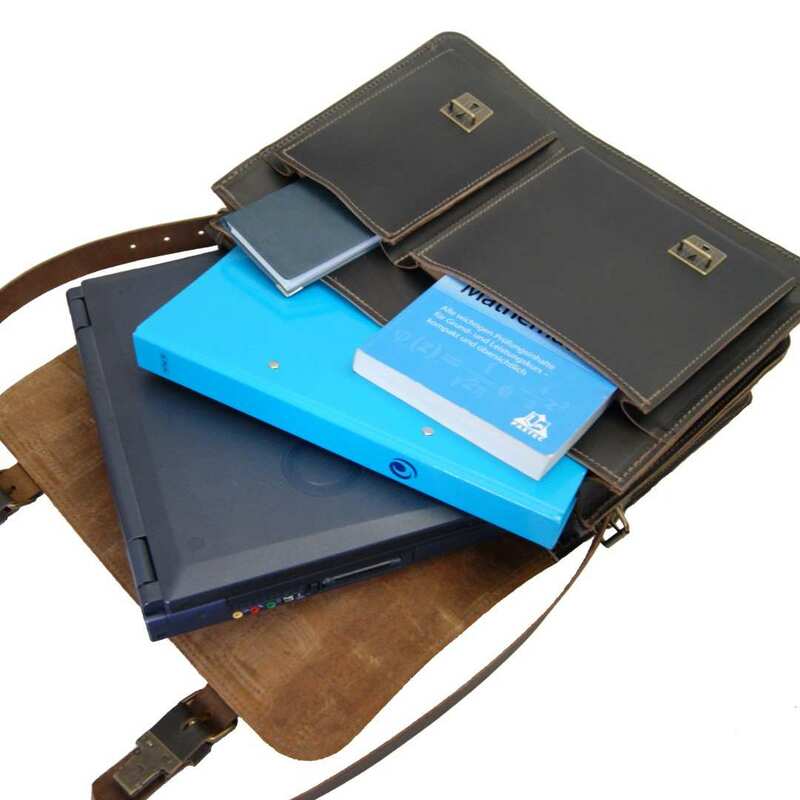 The bag offers XL-room for laptops with size until 15 inch screen diagonal. 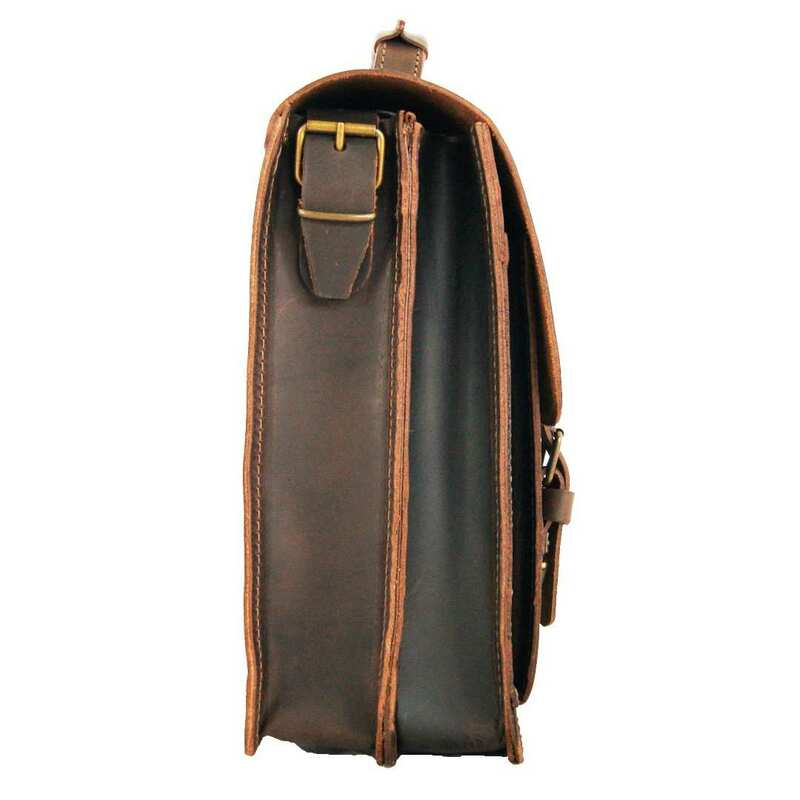 Like all bags of the Collection BARON of MALTZAHN, the laptop bag FARADAY made of brown organic leather appears very compact. Despite the high quality materials and their input, the briefcase is relatively light.The handle is fixed on the bag through the leather on a metal plate with some rivets. That way, the leather does not tear and becomes very sturdy. In addition, the metal closures are extremely solid. The 2.7 mm thick ranger brown natural cowhide leather of the laptop bag FARADAY has been dyed and greased by hand, which makes it radiate a fantastic classic elegance.All elements of the briefcase are sewn with extra strong thread. Outside the leather is robust and resistant and at the same time smooth and easy to care. 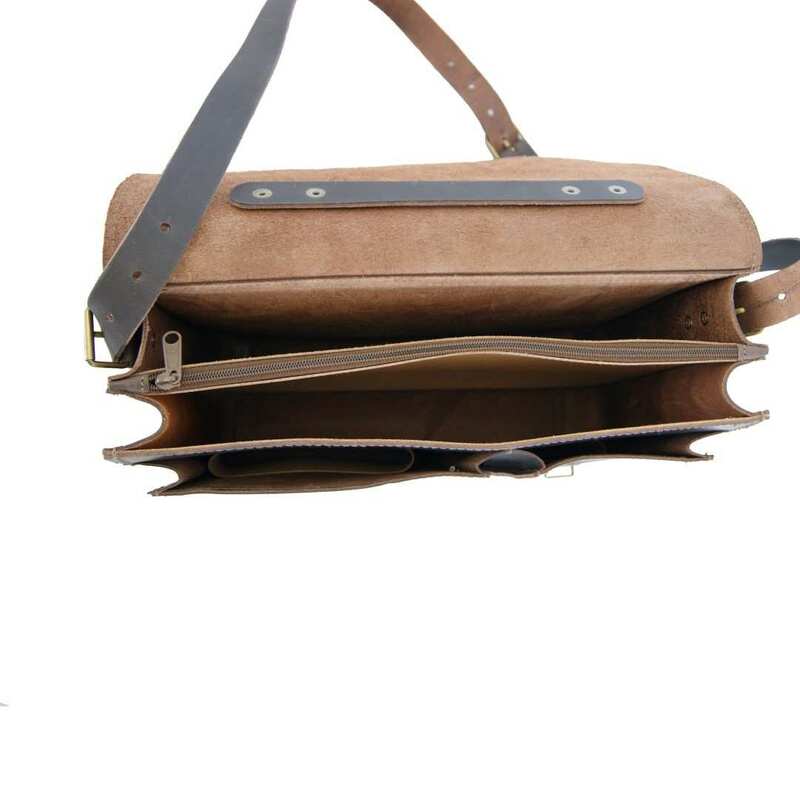 On the inside it is soft in order to be gentle to your contents.The size of the laptop bag FARADAY made of brown organic leather is 15.7 x 5.5 x 13.4 in (40x14x34 cm). The appropriate shoulder strap has a total length of 51.2 in (130 cm) and is individually adjustable according to your preferred size. For FREE you will receive a large, soft shoulder pad made of leather. Scuffed jackets belong to the past! Order now and go your way with this nice bag! Reviews for "Briefcase FARADAY brown organic leather"